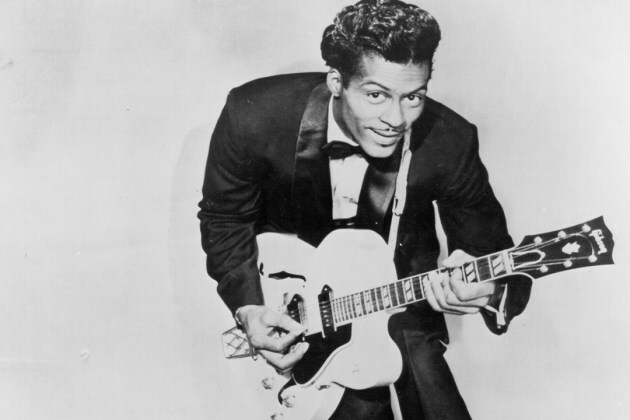 Rock and roll legend Chuck Berry died on Saturday, March 18th, at the age of 90. Tributes from across the world have been paid to the “hero of rock and roll”, famed for his hit singles Johnny B. Goode, Roll Over Beethoven and Sweet Little Sixteen. Berry, the man cited as creating the script for rock and roll, had celebrated his 90th birthday in October with the announcement that he was releasing his first album since 1979. Ringo Starr led the tributes to “Mr Rock and Roll”. “R I P. And peace and love Chuck Berry Mr. rock ‘n’ roll music,” he wrote on Twitter. The Rolling Stones said they are “deeply saddened” by the death of Chuck Berry, describing him as a “true pioneer of rock ‘n’ roll and a massive influence on us”. “I am so sad to hear of Chuck Berry’s passing. I want to thank him for all the inspirational music he gave to us,” Mick Jagger said. And don’t forget what John Lennon once said “If you had to give Rock ‘n’ Roll another name, you might call it Chuck Berry”.